Enjoy Kurdish cinema, music, talks, and food. 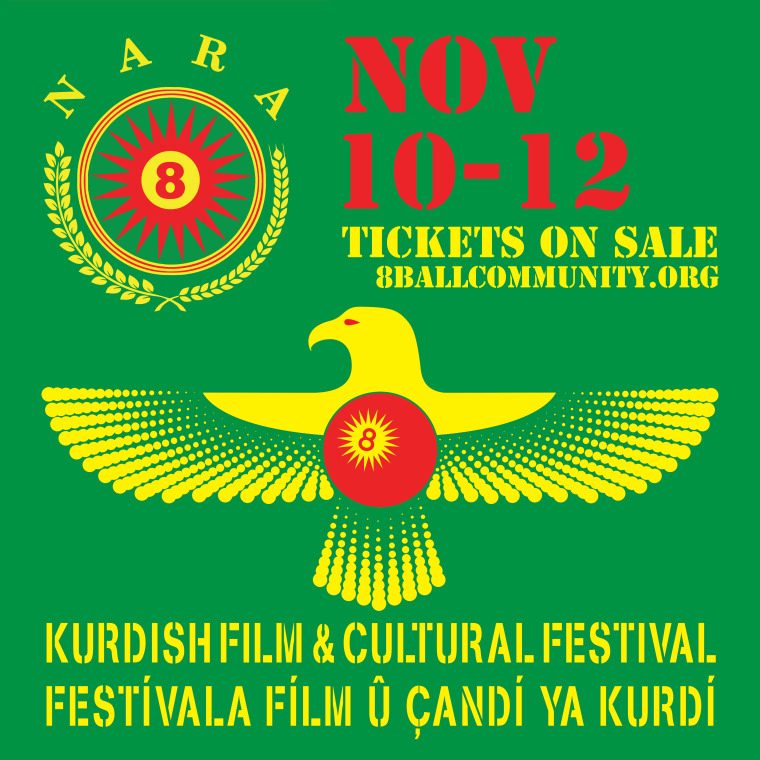 New York zine collective and radio station 8-Ball Community and the North American Rojava Alliance (NARA), which provides activist support for the people of Rojava, has teamed up to announce the Kurdish Film & Cultural Festival. The three-day event, which is dedicated to writer and activist Mehmet Aksoy, will highlight Kurdish culture through cinema, talks, musical performances, and food. According to festival organizers, beyond education, the festival also seeks "to call attention to the contribution the Rojava model could make to political thinking in the US." They hope to do that through screenings of shorts selected by the Rojava Film Commune, the region's first film school, and talks moderated by feminist scholars discussing what can be learned from the region's politics, among other activities and exhibits. The festival runs from Friday 10 to Sunday 12 November at Alwan for the Arts, N.Y.C. Buy tickets.